Home Specials Evolving men, what Darwin missed! 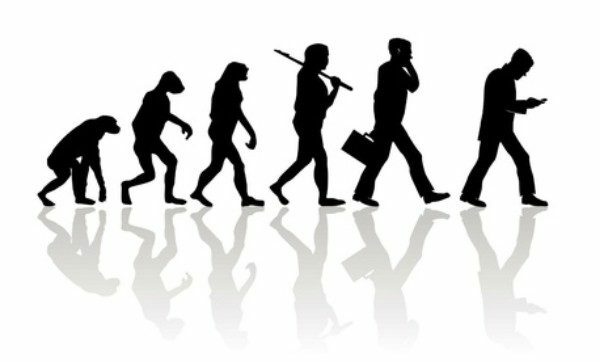 Evolving men, what Darwin missed! Men will be men isn’t it, like the Seagrams add says, its basically a human being who is trying to hit upon or impress some beautiful lady all the time if you go by the add. But there is always more to being a male and in saying things I do not mean the being a man, mard ka baccha and all that melodrama used to challenge for fights. Men have different attributes including physical, emotional, dietical and societal. Men will be men, sometimes makes you wonder what exactly is being a man, apart from your congenital and acquired gender-related characters. If you ask a lady what a man is, she will give a bucket list of expectations, right from an electrician, a plumber, a chauffeur, a banker and so on and so forth sometimes I feel like telling them that even men are fed up of their expectations just like they are fed up of ours, which expect them to be good cooks, homemakers, good nannies, good budget makers and so on, we are humans too, wake up and smell the coffee we are not merely mcps. Simple put men are the original sins, the reason for every happiness. Men have certainly changed, gradually but surely. 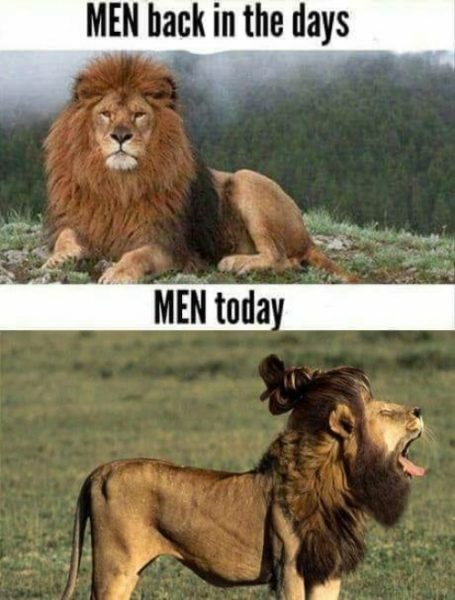 Men have changed some for the better and some for worse. There are many ways in which men have changed let’s just have a sneak peek, and yes this is not sexist or chauvinist. Let’s first look at the physical attributes, because that’s what makes the first impression in the nonromantic world where ” inner beauty ” makes no appeal. Actually, I always believed inner beauty is a myth. Men, in general, had to look well built( rajadinda, gandasu ), broad chest, prominent mustaches, solid frame, majestic gait almost like a lion, hairy mane, muscular arms, firm grip and burning passionate eyes . Today the ideal male should be just the distilled extract of all these characters, an athletic frame which I believe is nothing but a substitute for skinny caricature, tiny submissive shoulders, melancholy eyes almost begging for mercy, absent mustache and a gait between a goat and a cat. An ideal man has almost devolved from the majesticity to a “ayyo so cute” status. Fitness and gyming have different goals. Lean body is the in the thing, actually, let me tell you a secret, there is something called an obesity paradox, obese guys don’t have a sudden death in heart attacks, and in saying this I am not jealous, or even implying the grapes are sour. But you know what, I sometimes feel happy that I am comfortable with my body like most males previously were, and that’s the thing that worries me, I find youngster going that one bit extra to present themselves as physically more attractive and end up unhappy and depressed. It’s like changing your personality rather than your image, and then developing a low self-esteem and all this for the perfect dp and a status update. If you ask my mom who is the most handsome of them all, she looks at me and looks no further, nothing else matters to me, well that may be a little exaggeration. Many of us, had grandfathers who cycled from Belagavi to Khanapur or even distant places, they cycled for their livelihood, the cycling kept them fit, they walked from Ramdev Galli to Nanawadi and their walking kept them fit. Today we walk and cycle when we are not at work, on weekends rather keep us fit, so we can enjoy our livelihood. They walked to earn and we are walking on treadmills from the money we earn. Just to get a lean body. Food for men and not food for thought has changed drastically, we are dietically tamed one can say. You can hear so many say” my grandpa ate tons of butter and ghee, lived up to seventy and enjoyed his life big time”.Men actually pursued the path of excellence in becoming connoisseurs. Spices, exotic meats, condiments, oils were things to experiment with. Perfection in the skill of satisfying the palate and bringing happiness through foods was what men spent time in. Today we have cactus diet, Atkins diet, keto diet and several other diets. Men either feed this or are force fed on them. Lose your appetite with medicines, apple cidar vinegar, honey lemon, some imported sabudanas is what we are a connoisseur of. I actually think a diet for her husband is actually a wives way of expressing that she is tired cooking for him and that she wants to get back at him, it’s concurrently called worried because of love. But a historian would say that our grandfather’s survived at least eighth decades with all the ghee and we are hardly pushing past fifty with all our diets. People used to die for lack of food, today people are eating less so as to not die early, can you believe that. Cholesterol kills, butter, and ghee are full of triglycerides, have you heard that, well let me tell you another secret, triglycerides don’t kill and your body needs cholesterol. I always believe its not the food, it’s the mind that’s killing us and we need not deprive our palates if we feed good things in our minds. There is a change in communication too, men used to call men across rivers and valleys, men used to be loud, men used to be vocal although not expressive, women were soft and expressive. Today being loud is being rude. Communication is via what’s up and calls, even if the person sits right across you, smiles are exchanged only through smiley’s, best described as symbolic representations of smiles, you can’t open your mouth and laugh that’s ill-mannered, you have to smile just to show your teeth a little, you can only laugh when you want to laugh as an exercise, hasya yoga. Were men healthier because they had so much hasya yoga all day long, how much do our similes add to this arithmetic of years? Well not all is bad some men have changed for the good, cooking sometimes, to rest your home minister, helping with the chores, caring for the kids are things which have brought more happiness at homes, I am not saying this is something out of the ordinary and trust me I don’t want to invite the ire of feminists prying on simpletons like me, but that is the least men can do, not being labeled a chauvinist. Today women are truly equal and the sooner you accept it, the happier you are, actually, true happiness comes if you realize that women see stronger and more skilled. Having said that, today men have stopped doing things that bought joy. Going on a hunt and I am of the firm belief that hunts were for getting out, because they always came empty-handed, going fishing, cooking outdoors I mean not in your lawn, like the American barbeques but cooking in the open, these were things men did. It was not the drink that they had but the bonding that lingered, today if you want to do this you have to first find a friend and then if his wife permits cook some organic dal khichdi. Drinking Alcohol is injurious to health. Drinking is no longer a recreation, it’s a competition as to who loses his liver first, it’s not that men never drank, even God’s did but they did so with responsibility. Women tie threads around banayan trees to get the same submissive husband every time and men tie threads on imported bottles to get the same brand every time. The world has shrunk, getting alcohol is easy, getting drunk is easy but getting the company of good men is so difficult. Being a man is not an easy job, adjusting to the societal norms and coming up to expectation is an even greater challenge to our ever-changing spirit called the man. The views expressed here are solely those of the author in his/her private capacity and do not in any way represent the views of AAB. Decent article.However certain things are either not correct or misleading. First,the Obesity Paradox has been debunked.If one wants,just google any of the recent clinical studies on the topic. Second,as you stated and I want to expand upon that,even though your grandparents ate cholesterol and glycemic high foods, they also had the benefit of physical activity.Today’s working class sits in an office,drives cars,watches hours of TV and lounges with the a Cell phone.Clearly the same diet meant for high physical activity is going to be detrimental for sedentary lifestyles. Third,looks matter ,more in romantic situations but even in non-romantic.100% they do.Every major sociological study has confirmed it. 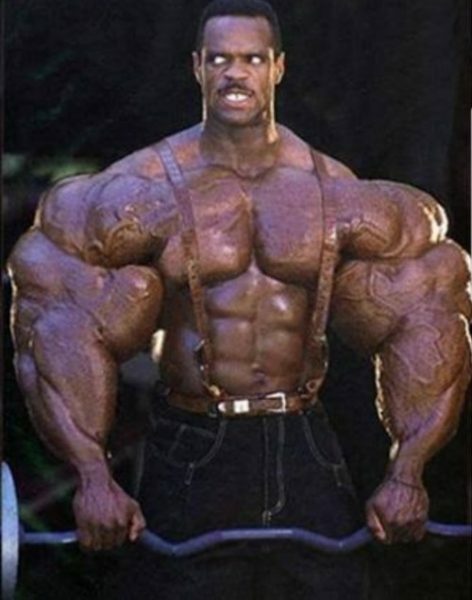 So Guys trying to looks lean and athletic actually has a logic to it.The problem is that guys get depressed because they do not have good genetics to begin with and all their working out gives very little benefit. Fourth, Men have become less masculine and women less feminine due one movement:Feminism.This movement has corroded Marriages,increased divorces,Gender roles and the family unit.It pretends to be about uplifting women but in truth it puts both men and women down.In the west it so toxic that new parents cannot determine if they have a boy or girl but the child must decide what gender it wants to be.